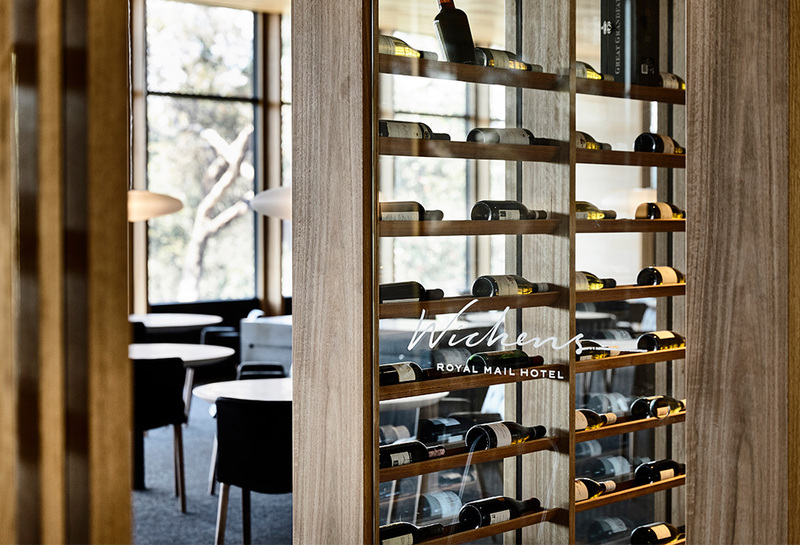 Internationally renowned for its exceptional wine list and constantly evolving degustation menu, the Royal Mail Hotel is an icon of the Western District. 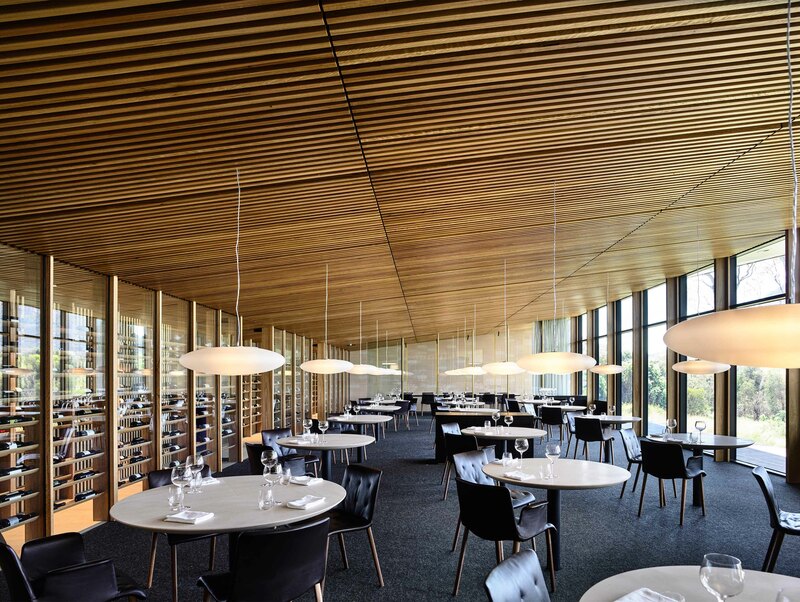 Byrne Architects were commissioned in 2015 to develop a masterplan for the hotel complex. The new fine dining restaurant is the first stage to be completed. Dining at the Royal Mail is an immersive experience. 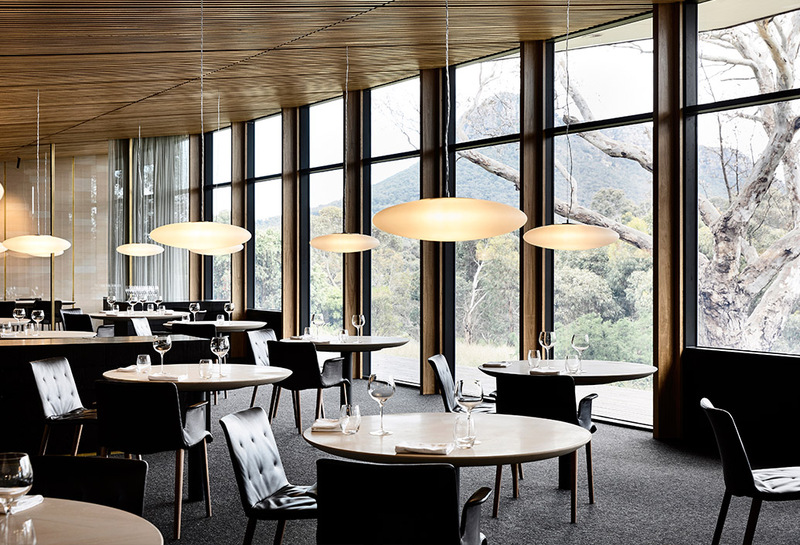 Our design focuses on the guests’ engagement with three defining elements – food, wine and place. Sitting in the dining room guests are literally immersed in these elements. 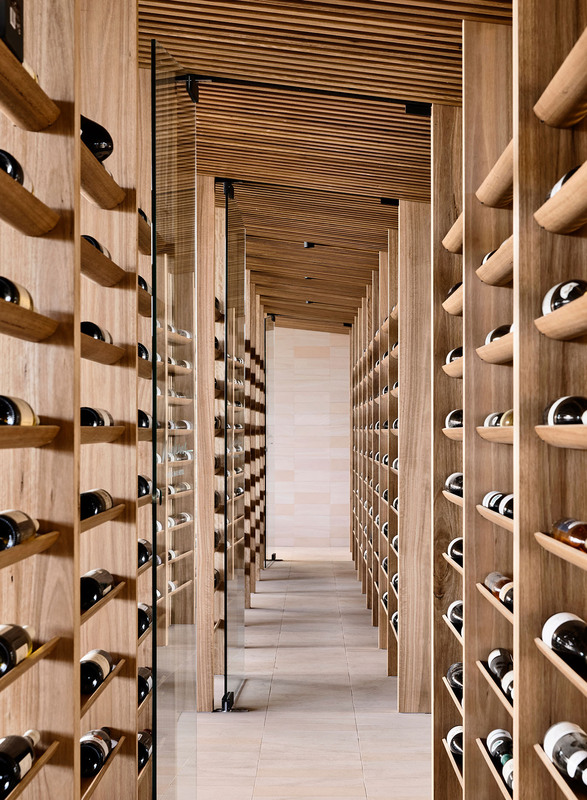 Sheer glass walls expose the intricate workings of the kitchen to one side of the dining room, while a climate controlled cellar pierces through the space near the entry, housing over seven hundred bottles of rare wine. 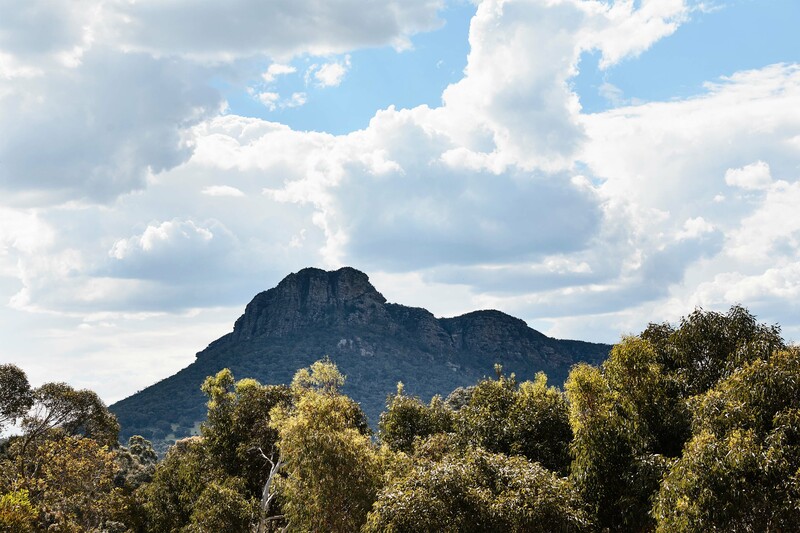 The northern façade opens to a spectacular view of the Grampian’s mountain range. These sensory connections transcend the experience beyond dining, re-defining our understanding of luxury.